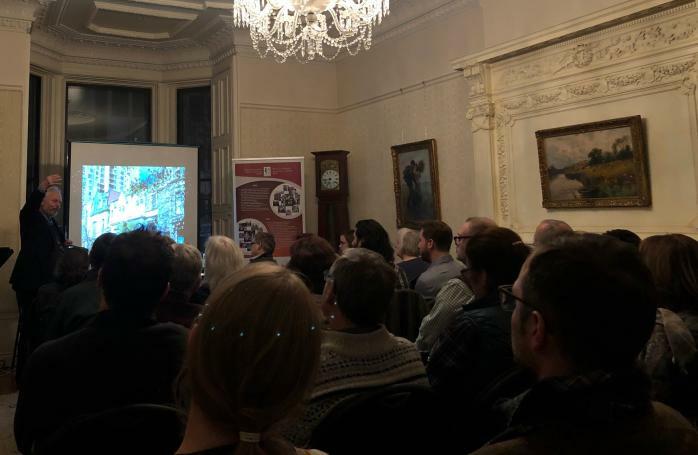 It was standing-room only on February 7, 2019, at the historic Louis Forget House in downtown Montreal, where Dinu Bumbaru of Heritage Montreal gave a talk on "Montreal’s Square Mile, from New Town to Downtown." Photo - Christina Adamko. Click here for the complete program! Copyright © 2010 Tous droits réservés.